The recent earthquake that killed at least 17 people in northern Haiti should not have caused so much damage and death according to Haitian engineer and geologist Claude Prepetit. In Port-de-Paix, Saint-Louis du Nord and Gros-Morne, at least 17 people died and 333 people wounded according to the latest official from the Directorate of Civil Protection which also reported lots of property damage. 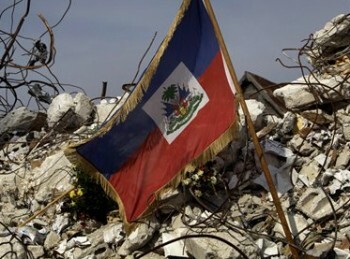 Claude Prepetit who is also the director of Haiti's Bureau of Mines and Energy said an earthquake of magnitude 5.9 on the Richter scale should not have caused as much damage and loss of life. So why did it wreak so much havoc in Haiti? "The buildings are in very bad condition in Haiti. It's not something we did not know," he said. Geologist Claude Prepetit said: "If there is a major earthquake in Cap Haitien, emergency response will not come from the North Department. All institutions that can respond are not housed in a secure building. An evaluation report concerning public buildings in the northern Haiti revealed these buildings will not withstand an earthquake of the same magnitude that struck the North back in 1842. Haiti believes in hiring people with no engineering degree.